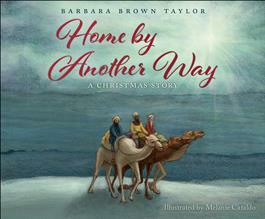 This enchanting Christmas story by beloved author and preacher Barbara Brown Taylor follows the three wise men on their world-changing journey to Bethlehem. In this beautiful retelling of their adventure, Taylor captures the power of one very special star and gives readers a new perspective on the three wise men and their encounters with King Herod, Mary, Joseph, and baby Jesus. Home by Another Way: A Christmas Story features breathtaking artwork from illustrator Melanie Cataldo and is perfect for gift-giving. Ideal for children ages 8-10.